When you’re involved in a collision for the first time, you’ll probably have a lot of questions about how to handle it! We’ve put together a list of some common questions to help get you through it. Can I have my car repaired at any shop? Yes! Legally, you have the right to repair your vehicle at a shop of your choosing. Don’t let an insurance company tell you otherwise. 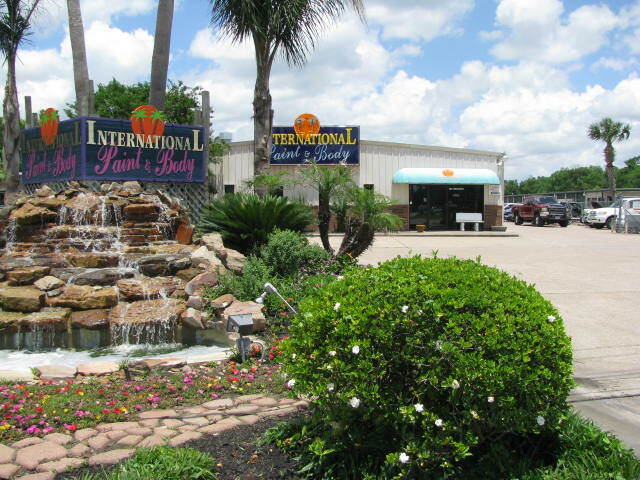 International Paint & Body works will ALL insurance companies. Once you have called to make your claim and are given a claim number, that is all we need to start your repair process. We offer FREE estimates and walk-ins are always welcome. To truly determine how much damage has been done, an estimator needs to examine your vehicle in person. This process is done while you wait and usually takes 10-20 minutes depending on the level of damage to the vehicle. Please keep in mind, estimates are just that – estimates. They aren’t always 100 percent accurate. You’ll need to bring your vehicle into the shop, where the estimator may need to do some disassembly to more accurately determine the damage and the cost of repairs. How do I deal with my insurance company? When you call your insurance company, they should give you a claim number. Bring it with you when you bring your vehicle in to drop it off. From there, we will work with your insurance company directly. Deductibles are paid by the customer at the time of pick up and are made payable to International Paint & Body. Our shop accepts Cash, Checks, or Money Orders as valid forms of payment. The answer to this question can vary immensely depending on the specifics of your accident, your vehicle, the damage, and your insurance company. Depending on your insurance policy, you may be able to get a rental car during the repair process. Ask your insurance company! We work with Enterprise in Friendswood and they will pick you up at the time of your scheduled drop off as long as you have set it up with them ahead of time.